Ahead of new production, I Weigh, Hannah Morpeth has spoken to Helen Ferguson (Theatre Director at Mortal Fools) about the importance of theatre and the inspirations behind the production developed by Mortal Fools and Tyne Valley Youth Theatre. 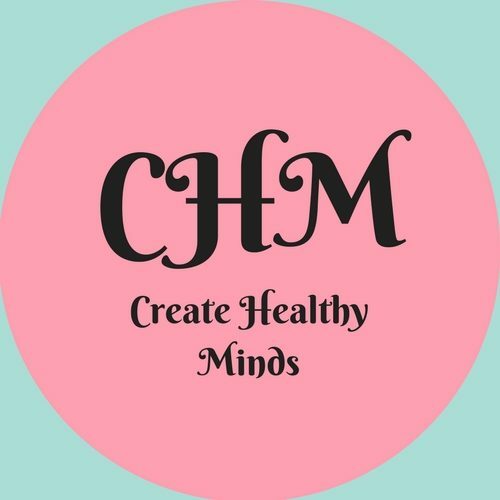 At Create Healthy Minds we love to ask people what great work they have read/listened to/watched recently. Imagine a world in which we prescribed theatre – either creating or watching it. Imagine the positive impact it could have on the lives of people who are struggling with all sorts of difficulties. As a live event theatre is powerful because everyone is in that room, on that night, experiencing something together that hopefully makes them think and feel something important. In response to an image of the Jenner/Kardashian females with their weights labelled, actress, model, presenter and all-round activist Jameela Jamil started the I Weigh movement. Designed to empower people to think of their weight in more than kilograms, to encourage people to think of their weight in achievements and personal qualities. The response has been overwhelming, with many turning to Instagram to celebrate what they are, flipping the narrative we are often faced with. Although not directly about the I Weigh movement, the production draws upon the themes that have came out of the movement by looking at how people have responded to I Weigh alongside their own experiences. ‘All of the material in the show comes from the real-life personal experiences of the cast, they all have a story to tell and we aim for the audience to relate to what they see. Using real life experiences bring humour and poignancy which is when really good theatre can have an impact.’ Helen has drawn on a organic approach to develop I Weigh with the young people, allowing them space to talk about their experiences which fed into the themes used within the final production. you are an inscrutable treasure unlike any other. It’s often not real, often what you see on Instagram is a curated version of someone’s real life. Don’t try to be something you’re not just because society has constructed an expectation of what people should be like. Keep questioning those expectations and encouraging not only yourself but more importantly your peers to question and push through to develop who you actually are as a person, and individual who is a one-off. I started Mortal Fools youth theatre when I was 9 and it was the best thing that I’ve ever done. Before I started I had no self-esteem and doubted myself a lot, however after taking part in I was able to build my confidence massively. Being around people that shared many similarities allowed me to make loads of new friends and feel comfortable in my own skin straight away. Still today I get stressed and lack in confidence at times, however when this is the case, Mortal Fools is my outlet for stress relief, providing a place to take my mind off school work and other anxieties. I don’t know what I’d do without it. It has given me confidence in my abilities and skills to pursue an acting career in the future. It’s so important to have youth theatre in Prudhoe as I want to give other young people in my home town the chance to fit in, and be helped to release their full potential completely. It is incredible to hear a story of such positivity of the influence engaging in theatre has had on Ben and it is amazing that in the North East of England we are lucky to have so many amazing arts organisations that continue to offer such incredible opportunities to young people. In a world where young people are facing increasing pressures from education, social media and their peers we have arts organisations such as Mortal Fools giving them access to an alternative narrative for their lives. If you, like me, feel passionate about young people and understanding their experiences in the world, head on over to the Mortal Fools website to get yourself a ticket to see I Weigh at one of the performances across the North East and North West this spring.